I read this article and found it very interesting, thought it might be something for you. The article is called Product Cost Plays a Significant Role in Driving Cultural Change at GE and is located at https://www.apriori.com/blog/product-cost-plays-a-significant-role-in-driving-cultural-change-at-ge/. I read this article and found it very interesting, thought it might be something for you. 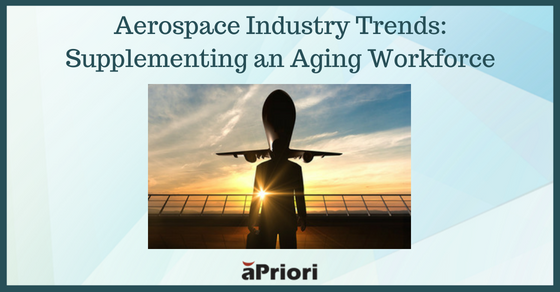 The article is called Aerospace Industry Trends: Supplementing an Aging Workforce and is located at https://www.apriori.com/blog/aerospace-industry-trends-supplementing-aging-workforce/. I read this article and found it very interesting, thought it might be something for you. The article is called President Elect Donald Trump Proclaims “Product Costs are Out of Control!” and is located at https://www.apriori.com/blog/president-elect-donald-trump-proclaims-product-costs-are-out-of-control/.